There are certainly plenty of local resources available to Stillwater County. There is an elected County Attorney paid for by taxpayers who has been representing the County on this matter to date. Taxpayers also pay for membership in the Montana Association of Counties (MACo), which has provided legal advice on zoning in the past. And there are plenty of attorneys in the state who specialize in zoning and land use. But the firm they hired is not just any old expensive out-of-state law firm. The firm is Budd-Falen, located in Cheyenne, Wyoming, one of the preeminent property rights law firms in the country. They are famous for representing ranchers in disputes with federal land agencies like the Bureau of Land Management (BLM). They consistently oppose regulation and advocate for the disposal of federal land. Karen Budd-Falen, the lead attorney for the firm, has achieved a national profile by taking unusual, sometimes extreme landowner rights cases in opposition to federal agencies. She has been prominently mentioned as Interior Secretary Ryan Zinke’s top choice to become Director of the Bureau of Land Management (BLM). Zinke has consistently advocated for the sale of public lands to private interests and opening them up to oil development. As a Congressman, he voted for a House bill that would allow state leaders to manage some federal parcels, and later for a bill that would change accounting to make it easier to sell public lands. In March of this year, as Interior Secretary, Zinke made the decision to shrink Bears Ears National Monument in Utah by two million acres to open it up for oil and coal extraction. As we have seen, the Trump Administration has dramatically increased the number of oil and gas leases on BLM lands over the last year. There has not been a BLM director since Trump took office, but the possible appointment of Budd-Falen would fit right in with the Trump/Zinke plans to dismantle the BLM and open public lands to oil exploration, in the same way Trump is attempting to destroy the EPA by putting it in the hands of Scott Pruitt. 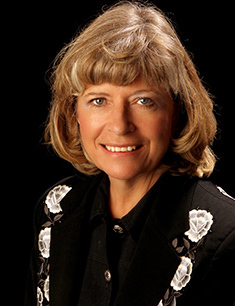 In the 1990s, she represented the infamous Cliven Bundy and other ranchers in a dispute with the federal government over grazing land. When she was hired by Ravalli County to write a land use plan and invited to speak on property rights issues, her presence was so objectionable to residents of Hamilton that 100 protesters showed up in opposition. No, this is no ordinary law firm. The Stillwater County Commissioners have purposely hired a high-priced out-of-state firm with a national reputation for advocacy for the development of natural resources on public lands to fight against local landowners. It is ironic that the County is working with this firm to strip local landowners of their right under Montana law to petition to determine what happens on their properties. What is the cost to Stillwater County taxpayers? Firms like Budd-Falen don’t come cheap, but it’s impossible to tell what their rate is because Stillwater County has not been transparent about the contract. We can get an indication of the firms rates however, because other counties have published their rate structure. When Ravalli County hired the firm in 2013, their rate structure was published online. Five years ago they paid Karen Budd-Falen a rate of $250/hour, with a slightly lower rate for attorneys with less experience. Based on general increases in legal fees over the last five years, today that top rate would be about 20% higher, or $300/hour. Expenses — copying, mailing, mileage, hotel, meals — would be added to that. 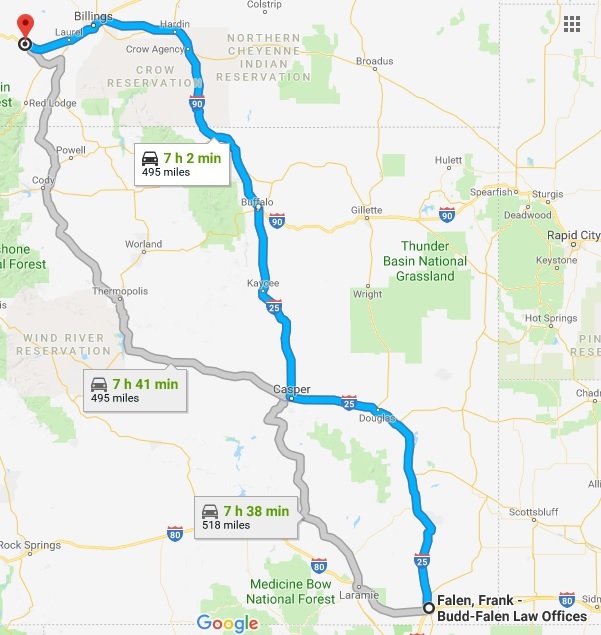 Based on the prevailing reimbursement rate for mileage, a single 990-mile round trip from Cheyenne to Columbus for a three-hour meeting would cost taxpayers $540 for mileage alone! Add in hotel, meals, and other expenses, it will cost taxpayers about $1000 in expenses for a single two-day trip from Cheyenne to Columbus. Add in the attorney fees, and three-hour meeting would cost about $7000. Had the County hired a Billings attorney, the total taxpayer cost for a three-hour meeting with round trip would be about $1550, including expenses. Legal experts I talked to suggest that the cost of defending the Beartooth landowners’ suit at those rates would be as much as $100,000 if there is an appeal to the Montana Supreme Court. That’s no small hit to the County budget. The important thing to note in all of this is that the Stillwater Commissioners didn’t have to do this. The Beartooth landowners begain working on collecting signatures to petition for this zone in 2014. They repeatedly asked the Commissioners to meet with them to understand the goals of the petition and to provide guidelines for the collection of signatures, but the Commissioners refused to engage. Then, after the petition signatures were collected and it became clear that the petitioners had achieved the overwhelming support of the landowners in the proposed district, the County Attorney established an unprecedented standard — that the petitioners needed to get the signatures not only of the surface landowners, but the underlying mineral rights owners as well. This standard is unprecedented in Montana history. There have been at least 111 citizen-initiated zones implemented all over the state, some with the exact same goals as the Beartooth Zone, and not a single one has ever required the signatures of minerals owners. Had the Stillwater Commissioners done what county commissioners all over the state — including their predecessors in Stillwater County — have done for the last 65 years, they could have been working collaboratively with local landowners rather than fighting them in court. This could have been done at no cost to the County. It’s important for readers to understand how easy this would be. The petitioners are not trying to ban oil and gas drilling — they are just asking the Commissioners to put regulations in place that recognize the challenges of drilling in the fragile areas along the Beartooth Front. The petitioners don’t make the regulations. The County controls the regulatory process, with input from the landowners. A collaborative process with reasonable compromise on both sides would allow drillers to drill and protect the area. There is no question what the Commissioners are trying to do here. By introducing a standard that gives minerals owners the same land use rights as surface owners, and by going beyond Montana borders to hire a law firm with a national reputation for opposing regulation and advocating for the disposal of federal land, they are trying to do much more than take away the rights of local landowners. They are trying to establish a precedent that would take away the rights of all Montana landowners to determine what happens on their own properties by doing away with citizen-initiated zoning. This agenda matches exactly the oil and gas industry’s national strategy of doing away with any local control of their activities. The Commissioners need to explain why they made the decision to go all the way to Cheyenne to find a firm that is leading a national agenda for drilling on public land and the absence of common sense regulation that protects local water and an economy based on farming, ranching, and tourism. Are they being influenced by outside organizations or individuals who stand to benefit economically from oil and gas development or allowing any type of local input into regulating oil and gas? Why have they turned their backs on the grass roots activism of local landowners? And why have they failed to be transparent in revealing the nature of their contract with this firm? Taxpayers have a right to know how much they are paying, or whether they are paying the cost at all. Is some outside agency paying the cost or is the firm providing its services pro bono? If so, what is the County expected to do in return? Citizens have a right to demand transparency from the local officials they elect and whose salaries they pay. This entry was posted in Legal and tagged Beartooth Front, citizen initiated zoning, Karen Budd-Falen, mineral rights surface rights, Stillwater County Commissioners. Bookmark the permalink. 11 Responses to Why is Stillwater County spending tens of thousands of dollars on high priced out of state lawyers? The County planed all along to take this all the way to the Montana Supreme court where they know they can win and do away with citizen zoning in Montana. This was their plan from the very beginning. The County is not paying the legal fees! The oil industry is paying. Citizens simply cannot afford to go up against that kind of special interest money and the oil industry knows it. This is exactly what happened down in Texas. It’s sad that citizens have fewer and fewer rights before the courts everywhere in this country. Whoever has billions to spend for legal fees wins every single time. You’ve been consistent in this view from the beginning, and you could be right. I believe the law is on the landowners’ side, and the Commissioners will eventually have to agree to the zone. Cliven Bundy? Any lawyer who represented him is sure to be on the dark side. My fundamental question is why the commissioners treat those who pay their salaries with such disrespect. The commissioners are public servants (allegedly) and should represent US not big oil. The goal of the petitioners is not to ban exploration but to have a say in reasonable regulations and adherence to best practices. John, I have sent her an invitation at her new address. She needs to follow the instructions to get updates.